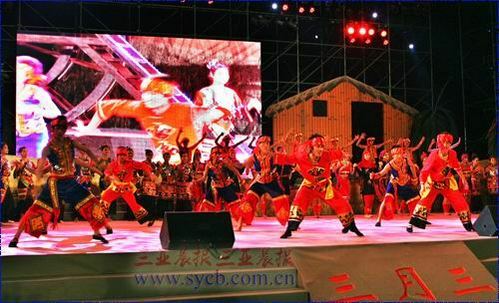 To celebrate the Sanyuesan Folk Cultural Festival of Li ethnic group in Sanya, an arts show is going to stage at the Luhuitou Square tomorrow evening. During the traditional Sanyuesan celebrations, a large-scale original music and dance show featuring Li ethnic group’s arts and their cultural life will be the most eye-catching with a performance team involving 500 people. On the following two days, various activities including folk performances, exhibition of intangible cultural heritage of minority peoples, traditional ethnic athletic competition and ethnic food exhibition will put on to entertain the tourists.